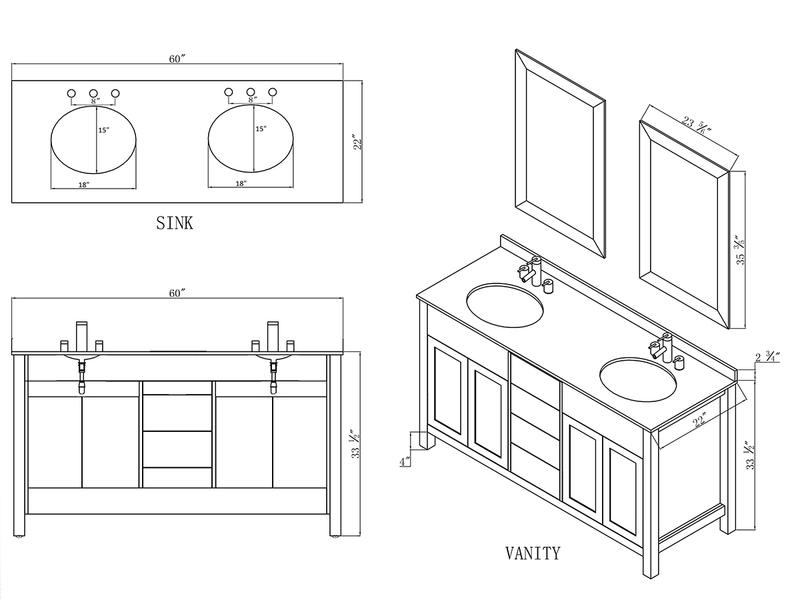 Maximal space utility gives the 60" Constanza Double Bath Vanity an added edge compared to other vanities of its size. 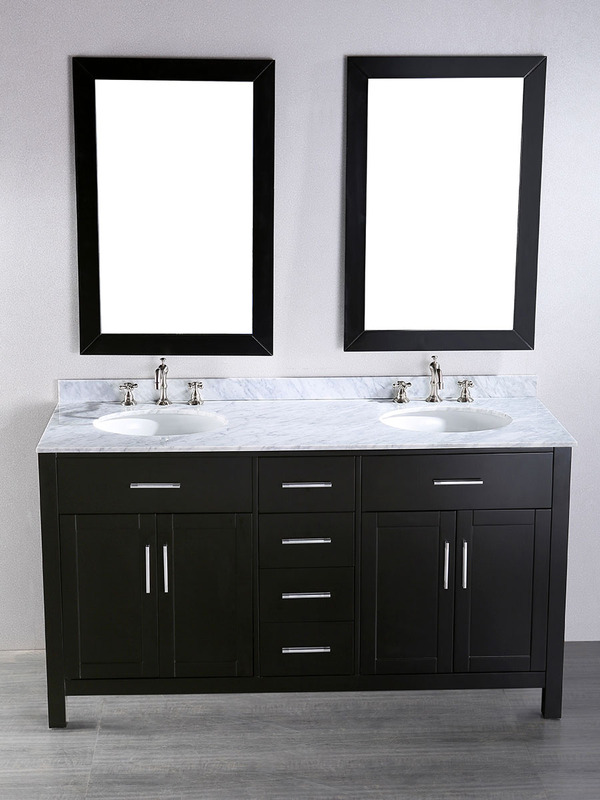 Featuring a double sink top made of White Carrera Marble and ceramic sinks, this vanity offers everything that a vanity could possibly provide. 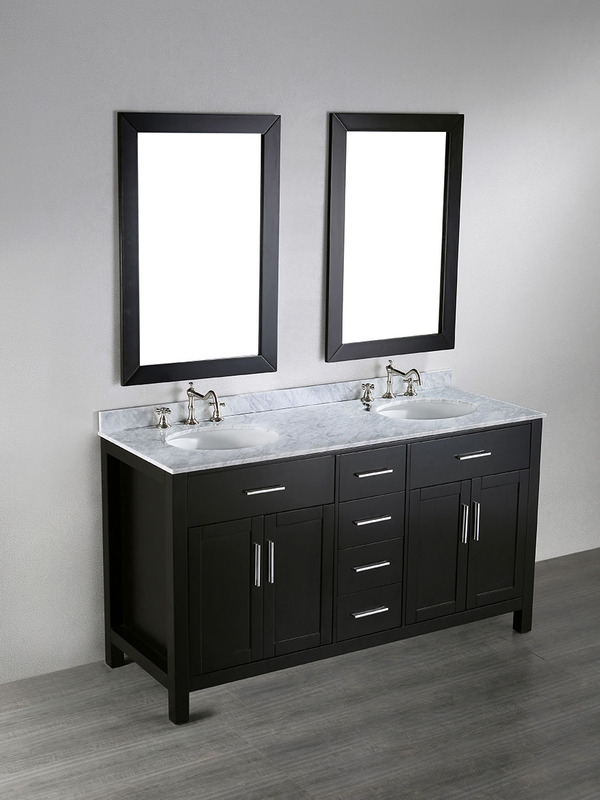 You'll love its Black finished cabinet that's been accented with silver handles and the two double-door cabinets that's accompanied by four spacious drawers. Two matching mirrors are also included with the Constanza, giving you everything you need to complete your bathroom makeover.